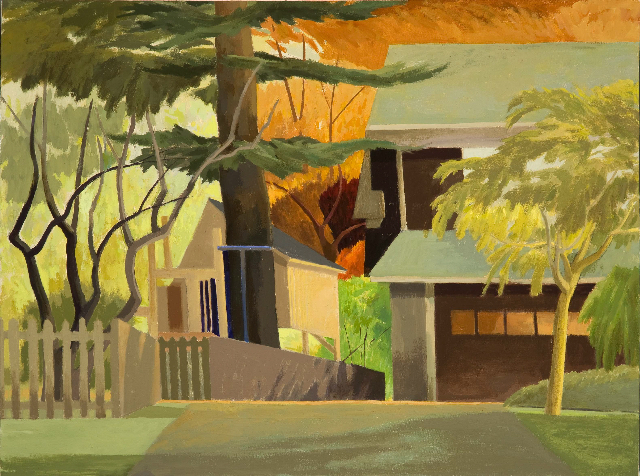 Celia Reisman is known for her paintings of the Philadelphia suburbs and other locations, where she combines architectural elements within a rich, complex world of invented color and shapes. Edward Sozanski of the Philadelphia Inquirer says she “offers a lushly colored and geometrically harmonious balance between realism and abstraction”. Ms. Reisman received a Bachelors of Fine Arts at Carnegie Mellon University and went on to receive a Masters of Fine Arts in Printmaking from Yale University. She is represented by the Paul Thiebaud Gallery in New York and San Francisco where she had two recent solo exhibitions. In Philadelphia she has exhibited at the Gross McCleaf Gallery, which has represented her for over twenty years. She has had been in group exhibitions in Philadelphia, New York, London and other locations in the US . Her work was selected for the American Academy of Arts and Letters Invitational Exhibition where she received a Hassam, Speicher, Betts, and Symons Purchase Award. In 2000 she had a Fifteen Year Survey Exhibition at the James A. Michener Art Museum in Doyelstown, PA. Her paintings toured in two traveling exhibitions curated by Alan Gussow entitled, “ Artist as Native” and “Rediscovering the Landscape”. 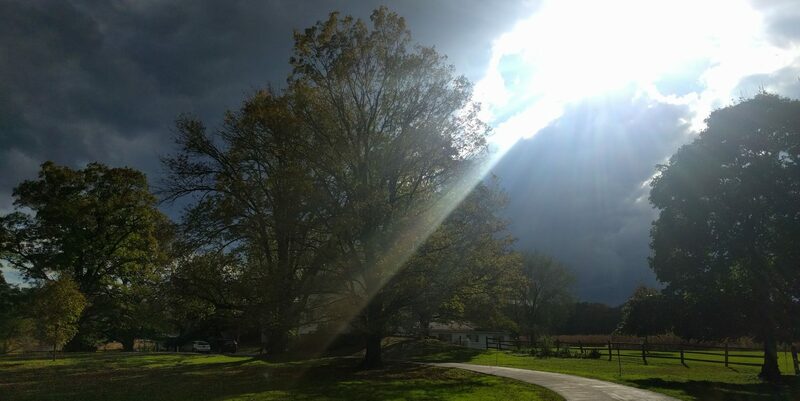 Her other awards include residencies at the Helene Wurlitzer Foundation in Taos, New Mexico, the Rochefort-en-Terre Residency in France, the Ragdale Foundation and the Virginia Center for the Creative Arts. 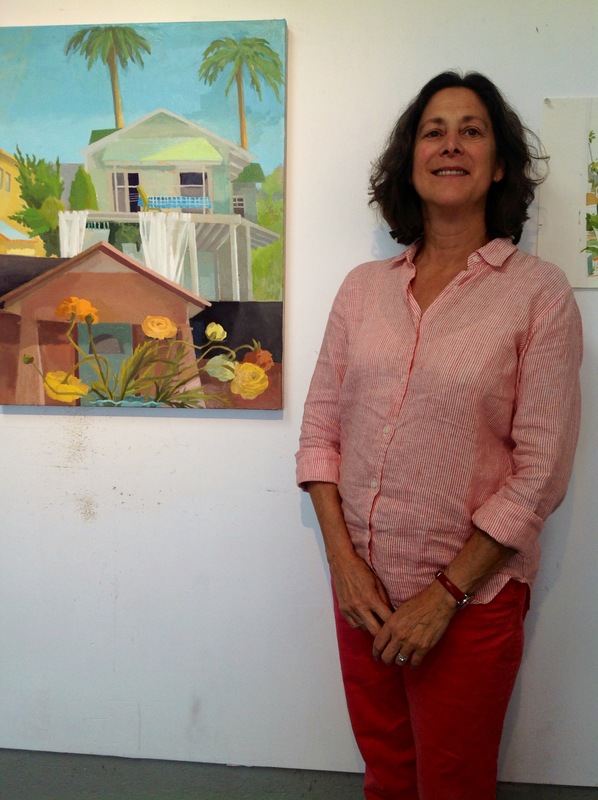 Ms. Reisman is a Visiting Critic at the Pennsylvania Academy of Fine Arts. Previously she has taught at Swarthmore College, Dartmouth College and other institutions.